Chelsea Eernisse is an experienced Physician Assistant who will start seeing patients at Lakeview Clinic- Waconia in June 2018. She spent the first eight years of her career in emergency medicine and urgent care. She looks forward to building relationships with families in the clinic while continuing her acute illness and injury skills. Chelsea works collaboratively with patients and their families to work towards their medical needs and goals. Chelsea is particularly interested in working with pediatrics, adolescents, women’s health, mental health, preventative care, and performing in office procedures. She is passionate about pregnancy, birth, postpartum, parenting education and support for growing families. She understands everyone is on their own healthcare journey, and enjoys empowering patients through all stages of life. Chelsea lives in Victoria with her husband and two young children. She is originally from Wisconsin, but now calls Minnesota home. She enjoys traveling, reading, bicycling, exploring new restaurants, and spending time on the lakes with friends and family. Chelsea is involved with her local church and volunteers with the Hope House youth crisis and homeless shelter in Chanhassen. Chelsea often mentors youth and young adults interested in pursuing careers in medicine. 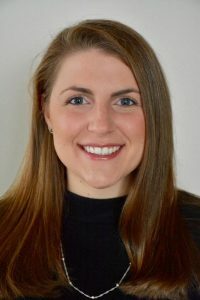 Chelsea received an undergraduate Bachelor of Science in 2007 and completed her Physician Assistant program in 2010 both at the University of Wisconsin- Madison. She completed additional training to obtain her Master of Science- Physician Assistant Studies at University of Nebraska. Chelsea is a member of Minnesota Association of Physician Assistants and American Academy of Physician Assistants. Ashley received her undergraduate in Biology at Gustavus Adolphus College. She earned her Masters of Science in Physician Assistant Studies at Des Moines University. There she was inducted into the Pi Alpha National Honor Society for academic achievement. Her interests include preventative care, acute care, and minor procedures in patients of all ages. She is originally from Maple Grove, MN. In her spare time she enjoys reading, traveling, and spending time with friends and family. 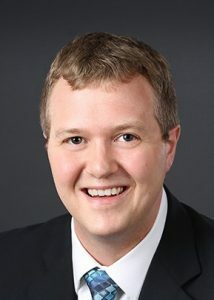 David Arens, grew up in rural Nebraska and obtained his undergraduate degree at Loras College in Dubuque, Iowa. From there he attended Scholl College of Podiatric Medicine in Chicago, Illinois. His resident training in foot and ankle surgery was completed in 2016 at Hennepin County Medical Center in Minneapolis. His practice involves all aspects of podiatric medicine and surgery. He performs surgery of all foot and ankle conditions ranging from bunions and hammertoes to fractures and chronic ankle pain. He chose a career in medicine because he enjoys meeting new people everyday and getting the opportunity to help them feel better. In his practice, he believes in the importance of listening to the patient to develop the best specific treatment plan for each individual. In his free time he enjoys spending his free time outdoors with his wife, family, and friends. His other interests include traveling, camping, classic cars, and college football. 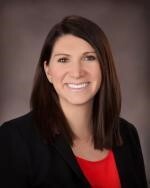 Dr. Zbikowski grew up in Duluth, MN and received her undergraduate degree in Cell and Molecular Biology from University of Minnesota Duluth. She attended Kansas City University of Medicine and Biosciences College of Osteopathic Medicine in Kansas City, MO where she received her doctorate as well as a Masters degree in Bioethics. 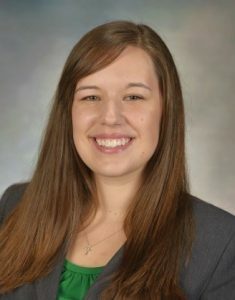 She completed her Family Medicine Residency through the University of Minnesota at Mayo Clinic Health System in Mankato. She enjoys the wide spectrum of family medicine and has special interests in preventative care, women’s health, osteopathic manipulation, and palliative care. Dr. Zbikowski enjoys spending time with her husband and daughter as well as reading, sports, and cooking.